Lauren Gunderson’s The Revolutionists dramatizes the political experiences of four forward-thinking and incredibly influential women from the French Revolution. Although their stories took place centuries ago, there is something in the narratives of these female revolutionaries that continues to resonate from generation to generation. This is especially true today in the face of the #MeToo movement and the consistent increases in the number of women in high-ranking positions year after year. It is critical to take the time to consider the women who came before us, who in many ways built the foundation for women to be able to take charge. There have been female revolutionaries of all ages, all ethnicities, all races, and all religions, and they each fought for what they believed in their own ways. Therefore, let’s not limit ourselves to thinking that Marie, Olympe, Charlotte, and Marianne (a fictional character, but still a combination of several real female revolutionaries from the Caribbean) were unique cases. Instead, let’s take a brief tour through history with a timeline of important revolutionary women, each of whom made her own impact around the world. You’ll find that some are much more well-known than others, but it is more important than ever to consider the voices left unheard and to hear the stories left untaught. 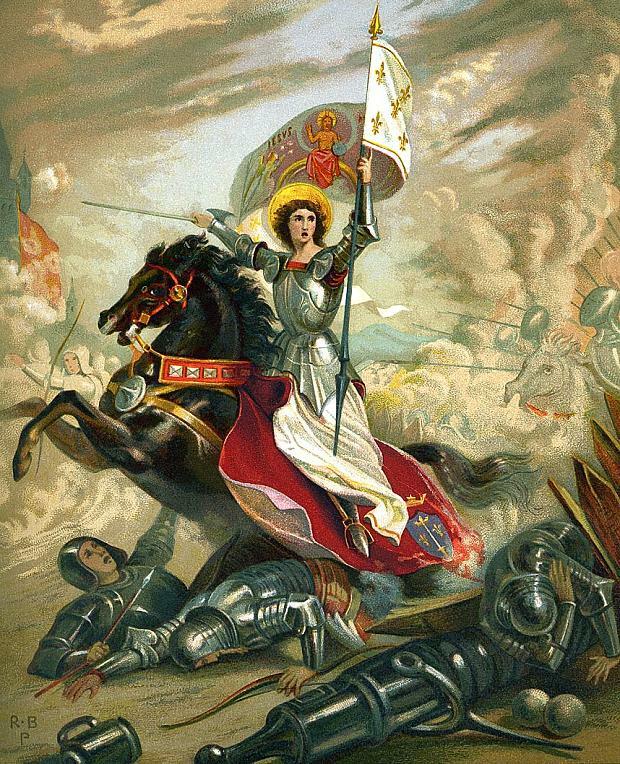 As a teenager, Joan of Arc began to see visions of Christian saints telling her to take up arms and fight for France against the English. She listened to these visions and sought out the French court to convince them to allow her to fight. The royal court supported Joan’s holy cause and she was given armor and her own troops, ultimately winning a critical battle at Orleans in 1429. However, Joan was captured by English forces a few years later and burned at the stake for heresy and witchcraft at the age of 19. During the American Revolution, Mercy Otis Warren hosted political salons in her home, which came to be known as “One Liberty Square.” These salons created a setting for people fed up with the British rule to come together and air their grievances. Warren was also a writer, responsible for a number of political plays, poems, and a three-volume work called History of the Rise, Progress, and Termination of the American Revolution. Sanite Belair was a freedom fighter and revolutionary during the Haitian Revolution. 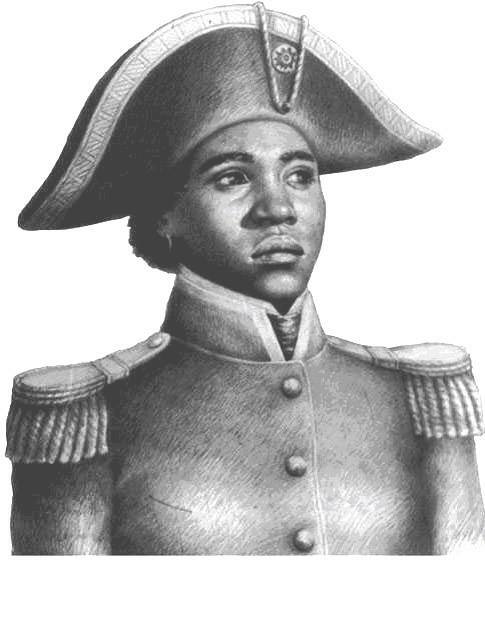 In her fight for Haiti’s independence, Belair became a sergeant and later a lieutenant. She also led the Haitian army alongside her second husband General Charles Belair, but there are accounts from both the French and Haitian sides that she was the true leader of the troops, much more so than her husband. Nonetheless, when both Belairs were captured by the French and sentenced to die, Charles Belair was awarded a military execution (being shot) while Sanite was to be beheaded instead, because she was a woman. She demanded to be shot instead so that she could die a soldier’s death, as she believed she deserved nothing less. Her legacy as a critical asset to the revolution remains ever-present in Haiti, as evidenced by the Haitian banknote for the “Bicentennial of Haiti” which features her image. 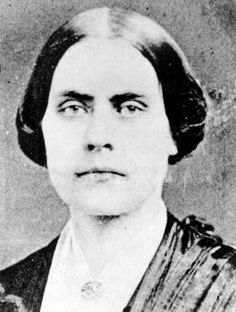 At the age of 26, Susan B. Anthony began to fight for equal pay for female teachers. She toured the country with fellow suffragette Elizabeth Cady Stanton advocating for the right to vote. Anthony eventually founded a women’s rights newspaper known as The Revolution, as well as the National Women’s Suffrage Association. While she died before the passage of the 19th Amendment, through which women were granted the right to vote, in 1872 she was arrested for voting illegally and refused to pay the $100 fine for doing so. Born into slavery in 1820, Harriet Tubman liberated herself by escaping from Maryland to Pennsylvania. Soon after, she returned to free her family, ultimately, leading hundreds of slaves to freedom via the Underground Railroad. Tubman was also the first woman to lead a military expedition rescuing slaves in South Carolina during the Civil War. She spent the rest of her post-war life fighting for women’s suffrage in New York. Constance Markievicz was an Anglo-Irish Countess, suffragette, socialist, and revolutionary nationalist. She took on a position of leadership in the Easter Rising of 1916, during which she wounded a British sniper. She was placed in solitary confinement and sentenced to be executed. 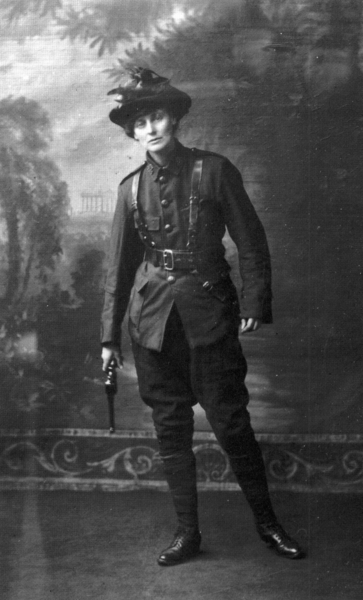 However, Markievicz was ultimately pardoned because of her gender, even though she supposedly told the court, “I do wish your lot had the decency to shoot me.” After her release from jail, she became the first woman ever elected to the British House of Commons, and yet she rejected the position and continued to strike, protest, and risk imprisonment in her fight for Irish independence. A poet and revolutionary leader, Qiu Jin went out of her way to combat the patriarchal Beijing society in which she lived, despite the fact that she herself came from a great amount of wealth and privilege. She enrolled herself in college and when she returned to Beijing two years later, she did so with newfound skills in swordplay, cross-dressing, and bomb-making. Giu Jin also set up a school for young revolutionaries and created the Chinese Women’s Journal. Ultimately, she met her demise when she was tortured and executed for attempting to overthrow the Qing government. 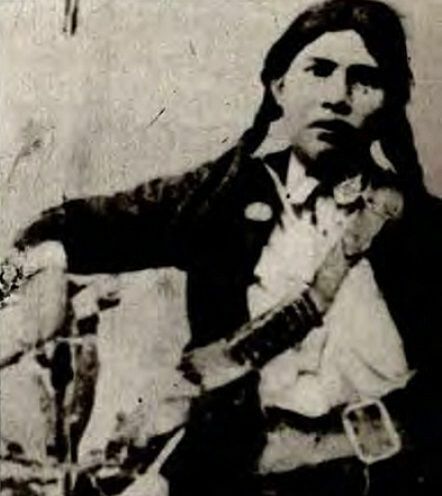 During the Mexican Revolution, Petra Herrera disguised herself as a man by the name Pedro and established herself as a strong leader and soldier. Herrera and the other soldaderas (female soldiers who went into combat with men) often faced gender discrimination despite them having proved themselves time and again on the battlefield. When Herrera wasn’t giving proper credit for her accomplishments during the second battle of Torreón in 1914, she left the forces of Pancho Villa and created her own all-female brigade composed of over 400 women. Herrera would go on to become a spy for one of the primary leaders of the Mexican Revolution. During this time, she was shot by a group of drunken men while working as a bartender, eventually dying from her wounds. Fondly nicknamed Captain Lakshmi, Indian independence revolutionary Lakshmi Sahgal commanded an all-female regiment dedicated to ending British rule in colonial India. 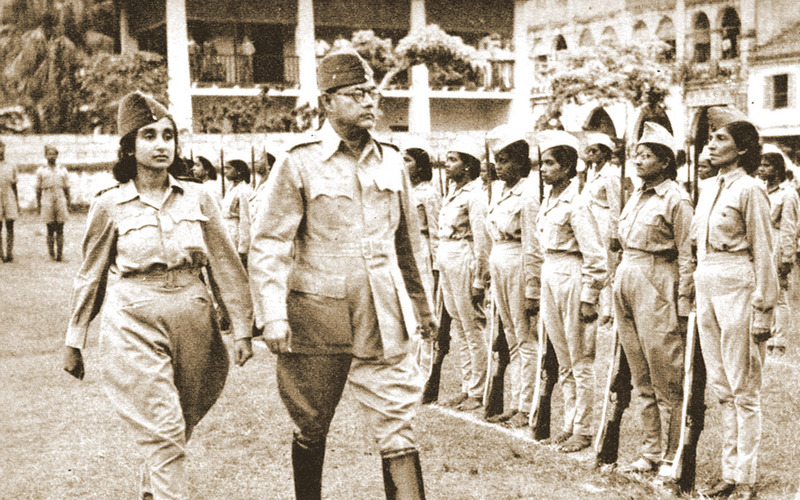 The Rani of Jhansi Regiment, which was named after another Indian female revolutionary, was one of only a few all-women combat regiments during World War II. Sahgal was an officer of the Indian National Army and later on in life she became the Minister of Women’s Affairs. 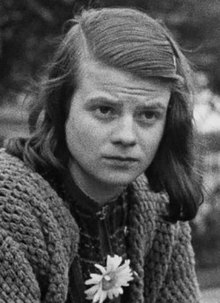 Sophie Scholl was a German revolutionary and active participant in the fight against the Nazi Party and a founding member of the underground resistance group known as The White Rose. Scholl’s activism was brought to an end when she and other members of The White Rose were arrested after handing out copies of an anti-Nazism leaflet titled The Manifesto of the Students of the Munich. Scholl was convicted of treason and executed by guillotine in 1943. 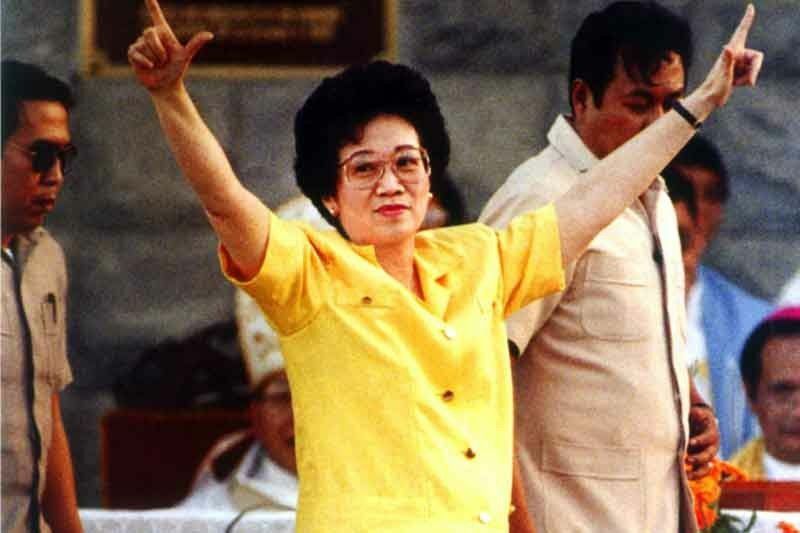 After the assassination of her husband, a Philippine senator Benigno Aquino Jr., Corazon Aquino took matters into her own hands protesting the continued rule of autocrat Ferdinand Marcos. Her non-violent movement in honor of her husband’s death gained strong support from the people as well as the military, and Aquino ultimately was elected President after Marcos’s consequent resignation. During her presidency, Aquino went to great lengths to fight for democracy, and she even ratified a constitution that limited the power of the president, a true testament of her dedication to the Philippines as a democratic country. Political activist and member of the Black Panther Party Angela Davis was a Most Wanted Fugitive of the FBI before she was even 26 years old. As a young person she was a member of the Student Nonviolent Coordinating Committee and the American Communist Party. She also attempted to rescue three of her fellow Black Panthers from jail, a failed endeavor that resulted in the death of a federal judge. Davis subsequently went into hiding, but was caught and acquitted wrong doing in 1972. Davis continued to teach at different universities in California, despite then Governor Reagan’s distaste for her and her political affiliations. Davis was a professor at University of California, Santa Cruz, until she retired in 2008. Now, she lectures at different universities around the country and served as a speaker and honorary co-chair of the 2017 Women’s March in Washington D.C.
Phoolan Devi, most well-known as the “Bandit Queen,” is a prime example of a victim taking back her own agency, by usinga strategy of combating violence with violence. After her birth in rural Uttar Pradesh India, Devi was abused for many years by several different high-caste men, and she took it upon herself to find a way to fight back against the system that hurt her so much. In 1981, Devi returned to a village where she had previously been gang-raped by high-caste bandits. There, she led a gang of her own bandits to murder more than 20 men. Devi spent 11 years in prison, but soon after being released she was elected to Indian Parliament. Widely known as “the Facebook Girl,” Esraa Abdel Fattah is so much more than a social media user – her activism via the platform of Facebook has actually landed her in jail. Abdel Fattah created a Facebook group in 2008 in support of an Egyptian textile workers’ strike. In addition, in 2011, she documented her experiences as a leader in the January Revolution and protests in Tahrir Square, posting her experiences on Facebook and Twitter. Her use of social media for political activism allowed for her strikes and protests to gain traction across Egypt and the world, bringing Egyptian politics to the forefront of national news. Abdel Fattah ultimately assisted in the overthrow of the Mubarak government and she was consequently nominated for a Nobel Peace Prize. Tawakkol Karman is a mother, a Yemeni human rights activist, chair of Women Journalists Without Chains, and the first Arab woman to receive the Nobel Peace Prize. In spite of her dedication to peaceful protest, she has still been arrested multiple times. Between the years of 2007 and 2011, Karman made a point of protesting every week outside of Sana’a University, fighting for the resignation of President Ali Abdullah Saleh.